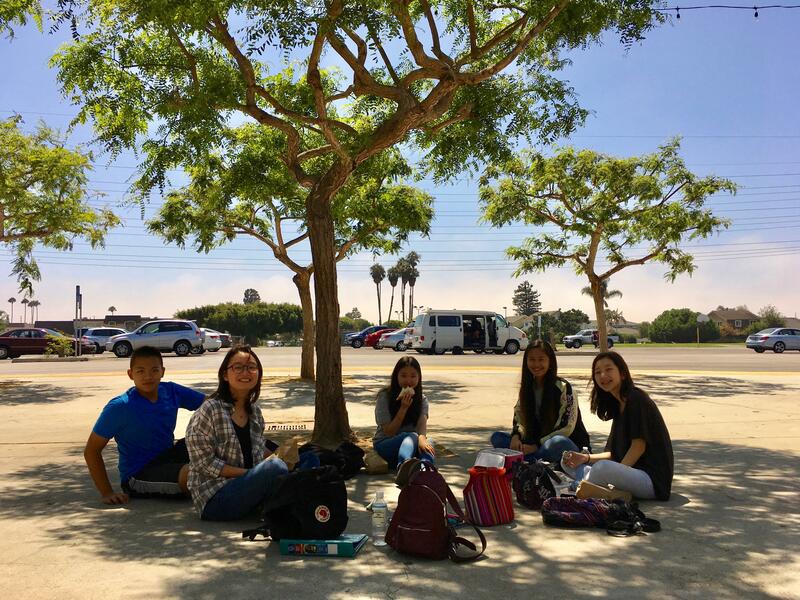 Brethren Christian is a college preparatory, co-educational high school located in Huntington Beach, Orange County, California. Since its founding in 1947, Brethren Christian has offered an academically challenging, Christ-centered, and socially positive environment in which to explore multiple areas of interest. Students are taught by Godly teachers who are experts in their fields. Teachers value students' individual gifts and talents, presenting them with the tools to succeed in the high school years, while also preparing them for the rigors of college, success in the workforce, and life. Academics are taught by passionate teachers in small classes, creating a learning environment in which students are encouraged to be successful. BC’s curriculum includes core courses aligned with the State of California and University of California A-G requirements and includes opportunities for students to engage in honors and Advanced Placement courses. It is in this environment of excellence that AP and SAT scores far exceed state and national averages. Greater than 95% of graduates matriculate directly to well-respected colleges and universities. Students have ample opportunity to explore their creative side within the nationally and regionally regarded Brethren Christian Fine Arts program. Classes are offered in Art, Choir, Drama and Instrumental Music. Competitive athletics are offered throughout the school year, led by coaches who believe, follow, and model life-long Biblical values such as fair play, individual effort, teamwork, integrity, perseverance, accountability, and commitment. An active learning environment includes field trips and guest lecturers, as well as a wide-variety of special interest clubs to encourage curiosity and involvement in the world around them. A positive social environment allows students to try new things, thereby exploring new opportunities for success. Whether a student chooses to play a sport (or two, or three), explore Brethren’s award-winning arts programs, join a club (or create a new one), or become a leader (through ASB, class council, worship, missions), each student has a lot of ways to find his or her place at Brethren Christian. Brethren Christian High School is, above all, a Christian school where students develop a deeply personal faith in Jesus Christ. Classes taught by Godly teachers, along with daily Bible classes and weekly chapels, lay a firm foundation to prepare students for college, the workforce, and the challenges - and opportunities - life brings.